No more ties or cufflinks for Dad! 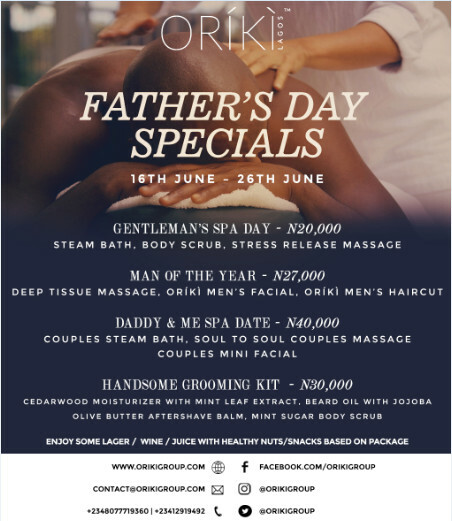 This Father’s Day gift him that relaxation he deserves with an ORÍKÌ Spa treat distinctly designed for him. We believe men deserve a little “me” time, and what better way to show him you care than gifting him a spa day this Father’s Day! Gentleman’s Spa Day – Steam Bath, Body Scrub, Stress Release Massage. Don’t let dad spa alone this Father’s Day, receive luxury tailored made treatments to enhance bonding with that special man. 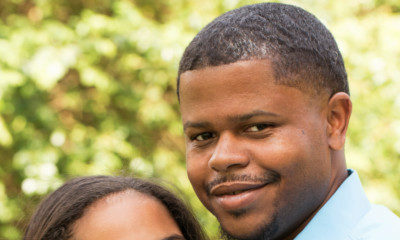 Daddy & Me Spa Date – Couples Steam Bath, Soul to Soul Couples Massage, Couples Mini Facial. Complimentary healthy snacks paired with a glass of either red or white wine or a bottle of lager on request. Help Dad stay looking youthful with the ORÍKÌ Handsome Grooming Kit, whether it’s gentle exfoliators, beard oils, body scrubs, we’ve got all his skincare needs covered. Call us on +234 1291 9492, +234 807 771 9360 or email us at [email protected] to book a treatment or series of treatments or purchase the grooming kit for Dad during this season. 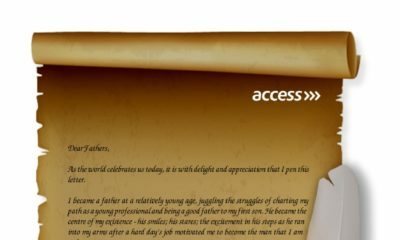 NB: This Promo runs from Friday June 16th– Monday June 26th … let’s get Dad the pampering he deserves. I always love the ORIKI specials!